Knightsbridge are proud to announce that they have been successful in their tender to be an official supplier of furniture to the Procurement for Housing (PfH). PfH is a respected leading procurement consortium which is known for the value it helps its members to create from their supply chain. They provide members with a wide range of furniture and flooring for all requirements such as challenging environments, dementia schemes, private rental accommodation, sheltered accommodation, large office fit outs and student accommodation. 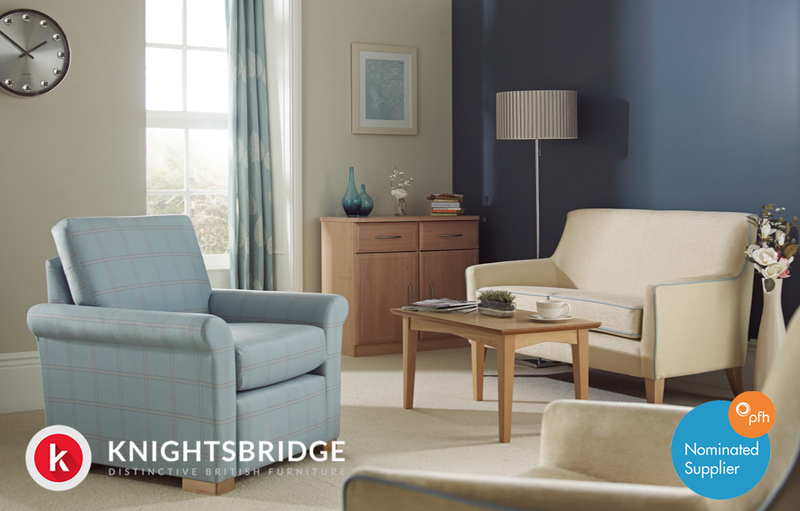 Established since 1939, Knightsbridge has been designing and manufacturing quality British contract furniture from its site in Bradford West Yorkshire for almost 80 years. As one of the UK’s leading contract furniture manufacturer’s Knightsbridge has the experience and expertise to deliver flexible and bespoke furniture solutions for care and residential environments. Quality and service is at the heart of everything Knightsbridge does. With their unrivalled range of furniture which can be used in lounges, receptions, dining rooms and bedrooms and features 10-year frame guarantee. Committed to British market led design they are one of the very few British contract furniture companies to invest in an in-house design and development team. As part of a tailored service a complete turn-key package is offered including space planning and full project management assuring specifiers complete piece of mind. To find out more about Procurement for Housing visit www.procurementforhousing.co.uk and to request further information on Knightsbridge’s furniture portfolio visit www.knightsbridge-furniture.co.uk or contact the customer service team on 01274 731900.